Troop 111 hit the ground running (actually, hiking!) in their second month with a backpacking trip along the Sespe in early April. The boys enjoyed swimming in the river (in the rain), scrambling on nearby rock formations, and a good campfire. As usual, the patrols cooked their own meals. Also in April, the boys participated in the Sespe District Camporee at Camp Willett. A great time was had competing in classic Scout events such as the canoe portage, fire building, blindfolded tent building, and tomahawk throwing. A great first Camporee for the boys! 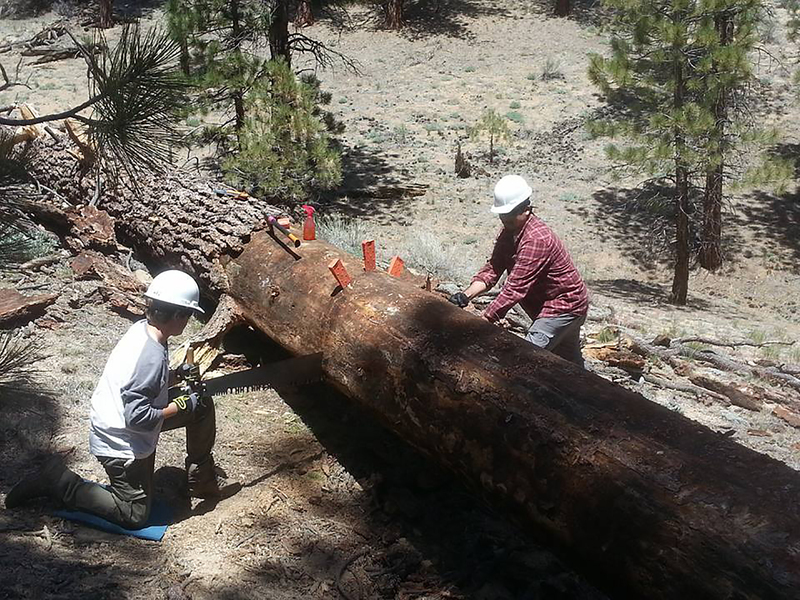 In May, the boys performed an ambitious service project for the US Forest Service, improving and clearing tread along the North Fork of Lockwood Creek and assisting sawyers remove a large downed tree blocking the trail. 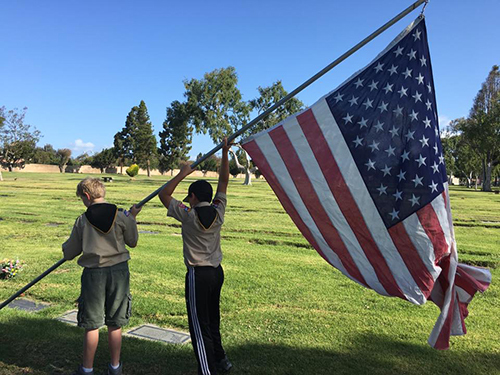 Also that month, the boys led the planting of flags at Ivy Lawn for upcoming Memorial Day services and participated in a Swimming merit badge clinic. It's been a great Spring and we look forward to our summer adventures — including more service projects for the Forest Service, a tour of a hydroelectric facility in the Sierra Nevada, a week-long summer camp, and scaling peaks in the Los Padres National Forest.